The 143rd Open Championship returns to the Royal Liverpool Golf Club eight years after last visiting Hoylake, when a certain Tiger Woods scooped his third and last Claret Jug to date in 2006. Sadly for fans of golf’s most iconic player, the Woods that turns up for the 2014 edition is likely to be a shadow of the uber-confident man who took his second consecutive Open title back then. Forced to miss the last few months of this season to undergo back surgery, Tiger’s return to the PGA Tour for the Quicken Loans National (26 – 29 June) ended prematurely in a missed cut. Still, a tied sixth at Muirfield last year suggests there is still a degree of attraction attached to his 12/1 odds for victory. The Australian’s final four-hole capitulation in 2012 which saw him agonisingly finish runner-up to Ernie Els may have stung harder than a jellyfish, but a 2013 Masters triumph helped alieviate that sting. The picture of calm, Scott exorcised his Open demons by tying third last year, and significantly finished eighth at Hoylake back in ’06, when he was far from the force the world number one has become. 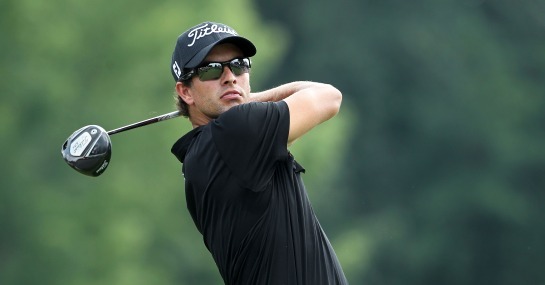 Scott has recorded six top 10s on the PGA Tour this season, winning the recent Crown Plaza International as well. Like Scott, the Swede’s career has really come to the boil in a big way over the last few years, culminating in Stenson’s unprecedented Race To Dubai and FedExCup victories in 2013. A second at Muirfield last year was his third top-three finish from the last six Open championships and his last three European Tour finishes read 5, 7, 5 before a fourth at the US Open. Similarly to Stenson, the only real thing the Spaniard would wish to achieve as a multiple Tour winner is a major championship. The Open may just be his best chance. Garcia has the requisite control of the ball in his game to meet the demands that come with links golf as three top 10s and five top-25 finishes in the last eight years testifies. Garcia will also have fond memories of Hoylake, having posted fifth at the Royal Liverpool back in ’06. El Nino has been in red-hot touch on the PGA Tour , recording a trio of top-three finishes from his last five starts.